The crown prince of entertainment Lee Seung Gi becomes the crown prince of acting. Lee Seung Gi transforms into the prince Lee Jae Ha who is annoying and sly through MBC’s The King 2 Hearts. The drama which is collaborated by golden pair of Beethoven Virus PD Lee Jae Kyu and screenwriter Hong Jin Ah is getting even more attention because of popular Lee Seung Gi and female warrior Ha Ji Won. The drama debuted with a good start with audience ratings exceeding 16% as the strongest among Wednesday and Thursday dramas. In the drama, Lee Seung Gi plays the role of the arrogant prince in fictional Republic of Korea implementing constitutional monarchy political system, and is under the crisis of having to marry politically with hypercritical North Korean instructor Kim Hang Ah. In the end, they overcome the national border, social status and social prejudice to fall in love truly. The action and skillful funny acting of Ha Ji Won and naive and annoying acting by Lee Seung Gi form a dream couple. The lead actor Lee Seung Gi has to interpret a wealthy and naive role in the drama, and has to display reversal acting of showing the characteristic of annoyance and sly, but displaying the courage of royal family at the crucial moment. He performs well without impetuous. Lee Seung Gi debuted in the second half of 2004 with a courtship song, Because You’re My Girl. He involves in the scene of entertainment, singing and acting, not only is well received by woman in South Korea, but also all citizens. Lee Seung Gi who made it into the list of most favorable CF models, which served as the gauge to measure favorable impression nationally, for the second year consecutively, has shot 25 advertisements in 2011 alone, becoming the king of CF, achieving the miraculous 10 billion won of sales. Lee Seung Gi who used to be president of student council and entered the university on his own efforts, has a strong friendly image and gives an impression of honest, humble, upright and youthful. But if he is too perfect, it may invites suspicions. But thanks to Two Days One Night, he shows an somewhat imperfect “black hole” image that increases the favorable impression of him. 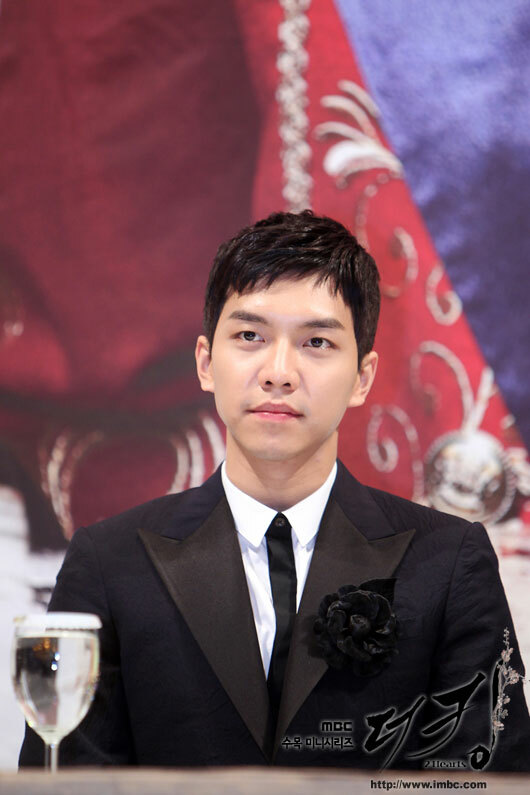 After Kang Ho Dong left the Strong Hearts, although he hosts the show alone, but it once again proving his strength as MC through his instantaneous intelligence that coordinates with the guests, winning praises of ‘deserved to be Lee Seung Gi.’ Lee Seung Gi makes his presence felt by winning various awards in KBS and SBS Entertainment Awards. He conquers the 3 fields of acting, entertainment and singing until the degree that nobody can explicitly tell his ‘original job,’ but actually he did have a period as a trainee. After debuting in 2004 with MBC’s Nonstop 5, he starred in The Infamous Chil Sisters (2006), Brilliant Legacy (2009), My Girlfriend is a Nine-Tailed Fox (2010) and other dramas, honing his acting skills. In particular, the Brilliant Legacy has beenexported to 81 countries in the world. On the entertainment front, he hosted Xman in 2006, and joined 1 Night 2 Days the next year in 2007, starting from a fresh rookie to become a popular MC that leads the show to complete the first season of 1 Night 2 Days. In The King 2 Hearts, the differences of character in prudent and honesty for Lee Seung Gi and Lee Jae Ha are quite big. But through the reversal charm of acting shamelessly and going bad that is complete opposite to his personality, he is getting critical acclaim for his seriousness. Thus, the transformation of upright youth Lee Seung Gi into badness prince is becoming even more captivating.